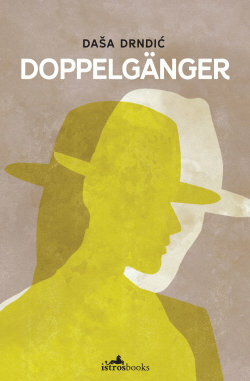 Doppelgänger consists of two stories that skillfully revisit the question of “doubles” (famously explored by Stevenson, Dostoyevsky and others), and how an individual is perpetually caught between their own beliefs and those imposed on them by society. ‘Arthur and Isabella’ is a story of the relationship between two elderly people who meet on New Year’s Eve — a romantic encounter which turns into a grotesque portrayal of the loneliness of old age. The second story ‘Pupi’ — a strange mirror of the first — centres on the life of a man who ends up on the streets and associates only with street-sellers and the rhinoceroses in the zoo. Together these tales create the highly original atmosphere that Drndić is famous for in all her works. "Doppelgänger, a boldly virtuosic novella in two parts, mirroring the realities of Croatia and Serbia, sees Drndic delighting in Beckettian high art. . . More than any of Drndic’s wonderful collage, archival, semi-autobiographical narratives thus far translated, it is the brief, if immense, Doppelgänger that may surprise even her established readers." "Fragmented but not disjointed, Beckettian as well as Bernhardian, Doppelgänger is complex, dark and funny: a strange gem." "In these subtly linked stories, memory bleeds past into present as three clear-eyed protagonists, distanced from their truest selves, approach the void." "Drndić’s memento mori reveals the skeleton. It warns: rhinos are our doppelgängers, too." "Incredibly dark, there's also a great lightness to the stories; they're not weighed down by what grimness they seem to have, and though not really funny there's a comic touch and a well-captured sense of absurdities of human existence. It's hard or impossible to describe and convey everything Drndić does -- which is, of course, why you should read it. This is remarkable writing, and this is a very, very fine twinned multi-faceted work." "Her novels challenge expectations, blending fiction with historical fact and archival material, often in ways that break up and defy narrative conventions. Her central concerns circle around the impact of the Second World War on the former Yugoslavia and on European Jewish populations. Hers is a literary act of remembering." "Beyond being experimental in form, Doppelgänger is also daring in content. While her visceral scenes can invigorate the reader with a taste for dark humor, they might repel the queasy. Her prose can be, as the Drndić scholar Vladislav Beronja puts it, bone-chilling."